These earrings are staples in my everyday wardrobe! 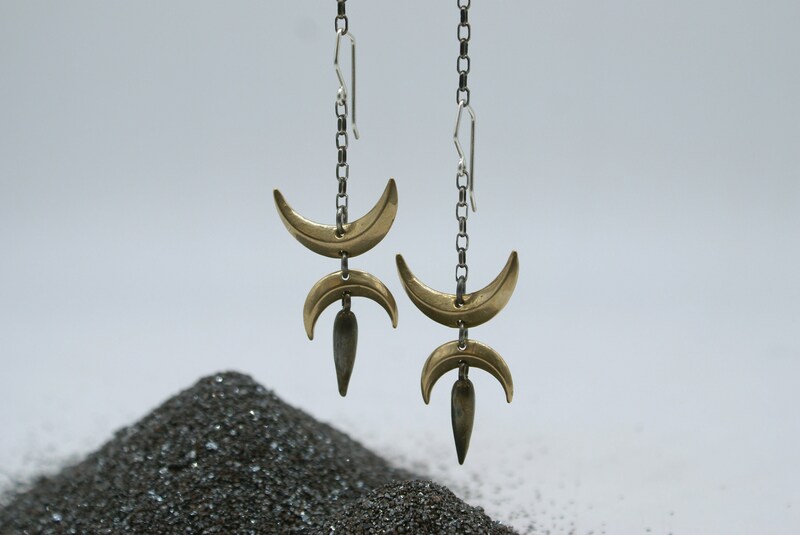 They feature two beveled crescent moons and a spike-like dagger drop that is oxidized (darkened) for contrast. Each component was originally carved from hard wax and then molded and cast. Choose from bronze or sterling silver! 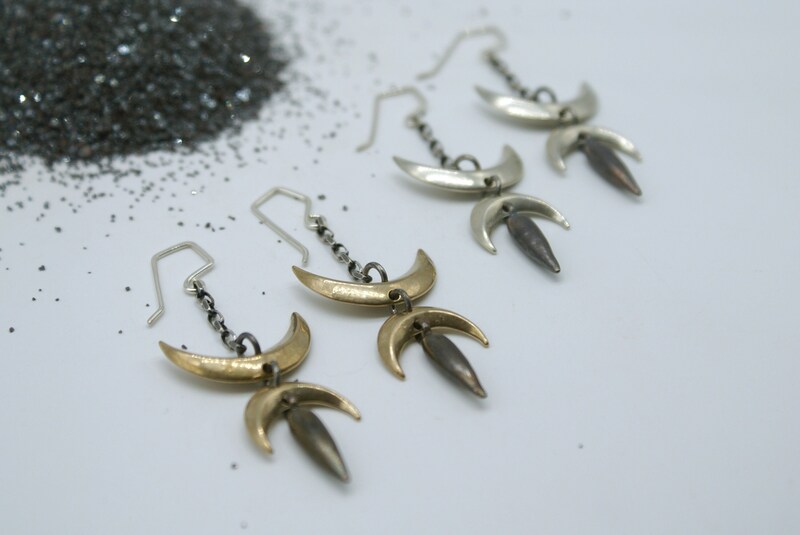 The ear-wires are hand formed sterling silver, which are lightly hammered for strength and durability. 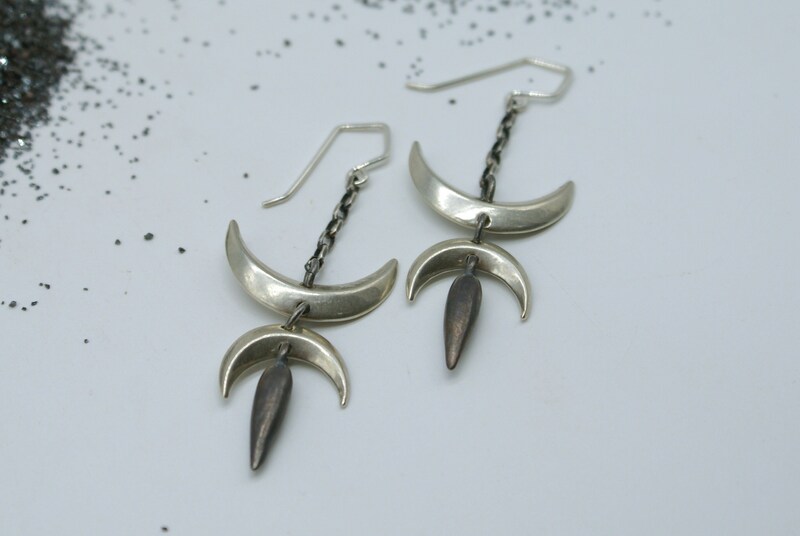 These earrings are light weight on the ears but not at all flimsy! They hang at a little under 2.5 inches but can be adjusted to your liking.